A lot of visitors get excited about buying Hawaii real estate and make contact either at the very end of their trip or the week after. – No kidding. Why not sooner? Get excited and explore your options in person at the beginning of your trip. Let us know a few days before your arrival and we can set up a tour of suitable options to get you up to speed. The probability for you to buy once you are back home is less than 2%. It does not matter how much information you desire and receive, including updates on the most exceptional deals. Once you are back home you won’t buy. You would want to see the value with your own eyes. It won’t happen unless: a) you have seen sufficient comparable options, and, or, b) you are back in Hawaii. – Commit to becoming the market expert while you are in Hawaii. Starting to think about buying the week after you left Hawaii isn’t being realistic. It never happens. If a good deal comes up it will be gone before you make it to the airport. And, you might not recognize a good deal unless you first have seen several comparable properties. There are always exceptional deals coming up and I go through my client list to see who might be interested. Some might say: “Ok, but now I’m back home. Send me a video and I’ll take a look.” Too little too late. You need to be decisive and quick. An exceptional deal requires superior execution speed and readily deployable cash resources. It also requires a clear realistic mental representation of the type of condo or home you desire. For that you need sufficient market knowledge upfront, otherwise, the odds to succeed are slim. Even if you were to make an offer while out of town, sellers get suspicious about buyers trying to tie up their property with an offer sight unseen. That is unless your agent can confidently convey to the seller that you are the right buyer and the property represents the perfect match with your well-established search criteria. – Be absolutely clear about what you want and the options you would consider. Be ready and decisive to act on a moment’s notice. Trying to swoop a steal long distance in slow speed isn’t going to work. We receive more inquiries about the Trump Tower than any other property. It is one of the few newer condotels together with the Ritz Carlton. Trump Tower studios are relatively affordable starting around $400K. I usually ask: “Are you looking for a lifestyle or cash flow?” Most are looking for both: a) a cash-flowing property that pays for itself and b) a vacation home for your personal enjoyment a couple weeks every year. But would you want to buy a property that produces a net negative cash flow? Condotels get valued based on their net cash flow potential. The better performing condotels have moved up in value because their net cash flow has increased. The Trump Tower has not. The Trump Tower is a lifestyle choice but not a net cash flowing investment. Better cash-flowing condotels are listed further down in this article. See related article: Waikiki’s Condotel Reality, and decide if you are looking for a lifestyle or cash flow. Save yourself time and disappointment. Instead of guessing what you could afford, get pre-approved before you start looking. I had clients assure me that there should be no problem for them to get a loan. Except, after we opened escrow – when they applied for a loan – they learned they can’t afford to buy. Oops. Getting pre-qualified/pre-approved can be done quickly over the phone. Look further down for a list of local lenders, or call us to get you connected. Don’t believe if your bank says: “We will lend you the money once you find the right property.” Condotels and a few of the regular residential Waikiki condos require special ‘portfolio loan financing.’ Your banker might be over-promising not knowing the Hawaii condo market. See related article: Top Tips To Finding Your Dream Home. We are committed to helping you get clarity on what you need and want and match you with the best suitable property options. Oahu single-family homes might offer more space and privacy, but they also require more maintenance. See related articles: Guide To Honolulu Oceanview Homes & Neighborhoods, and Guide to Ocean & Beachfront Homes in Honolulu. 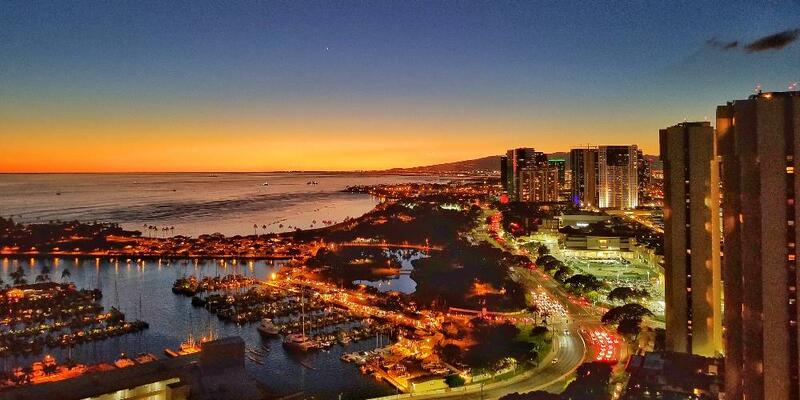 On Oahu, over 60% of all residents live in condos, and for good reasons. You have a greater selection of Oahu condos available. They are often more affordable than homes and come with excellent amenities. Condos are typically easier to maintain and sometimes offer location conveniences. Check our related article: Condo or Single-Family Home, and consider the advantages of condo living. Condotels (condo/hotel) allow short-term vacation renting with rental terms shorter than 30 days. 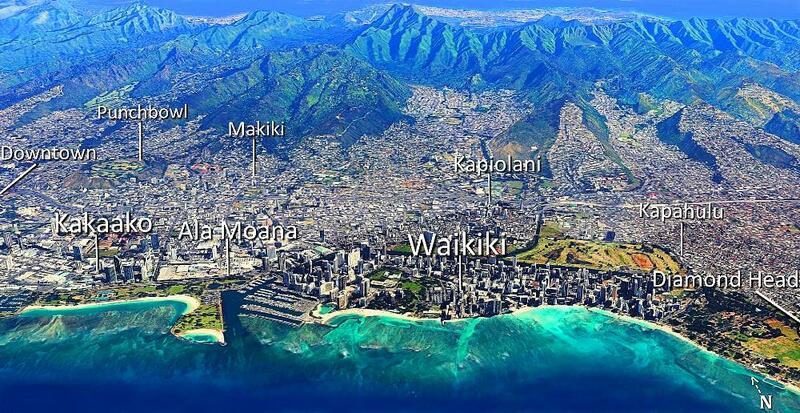 Most of them are located in the resort district of Waikiki. Real estate investors like condotels because of the unique dual benefit of i) maximum rental income potential, with ii) maximum rental flexibility. Many of our clients that plan on spending a few days to several months per year in Hawaii choose a condotel over a regular condo. 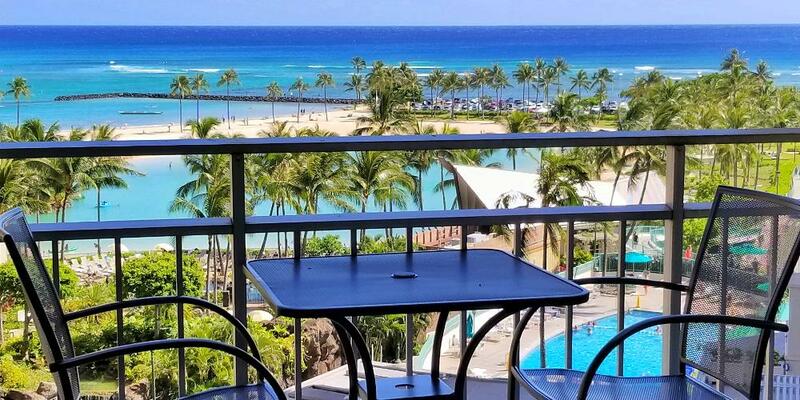 A condotel can generate rental income from the day that you leave Hawaii until the day you desire to use the unit again for your own enjoyment. Waikiki condotels historically can generate a CAP rate of up to 5% max. These are rare. If you self-manage you could potentially do better, provided you know what you are doing. But that requires a fulltime effort. Regular residential condos barely produce a 2-3% CAP rate. If anybody tells you otherwise, they either understate the expenses or they do illegal short-term vacation renting. Many condotels do not come with a deeded parking stall. And most of the more affordable condotels below $500K do not have a full kitchen. Instead of a stove/oven, you might just get a stovetop, or a microwave and no kitchen sink. Without a full kitchen, financing might not be available or requires a minimum of 50% cash down payment. Condotels with a full kitchen typically require a minimum of 30% cash down payment, with a few exceptions. Because of the lack of a full kitchen and parking stall, many of the more affordable smaller condotels might make a good vacation rental investment producing a decent CAP rate but are less practical as your principal residence or for extended stays. 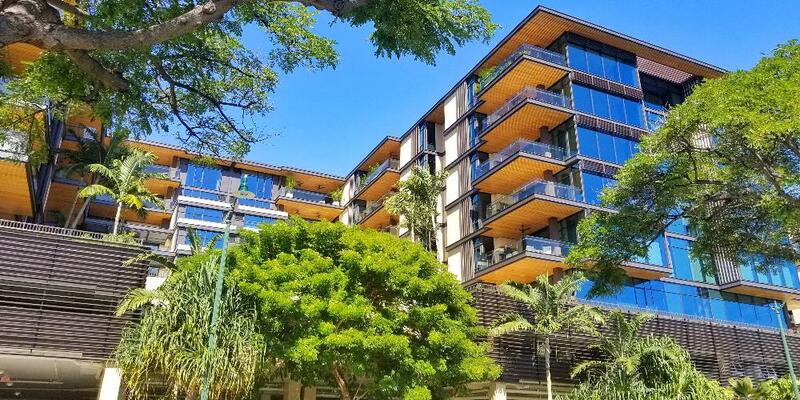 Some of the condotels we like with full kitchens include the Ilikai, Ilikai Marina, Waikiki Banyan, Waikiki Sunset, Regency on Beachwalk, Luana Waikiki 1-bedrooms, Marine Surf, and some of the units at the Waikiki Shore. Some of the more affordable condotels we like without a full kitchen but available below $500K include Palms Waikiki, Luana Waikiki studios, Aloha Surf, and Bamboo. See all available condotels for sale. Many of our clients are interested in the up-and-coming Kakaako neighborhood and the new construction condos. Kakaako is being rebranded as Honolulu’s new urban hub, where you live, work and play. The new commuter rail line is expected to run through the middle. New shopping and entertainment options are being added to an exciting fresh new urban lifestyle. New Kakaako condos feature energy efficient designs and dazzling amenities. These condos start in the $600K range and often sell in the $1Mill plus range. Kakaako does not allow any short-term vacation renting. 180-day minimum rental terms only. See related article: Kakaako Rental Rules. 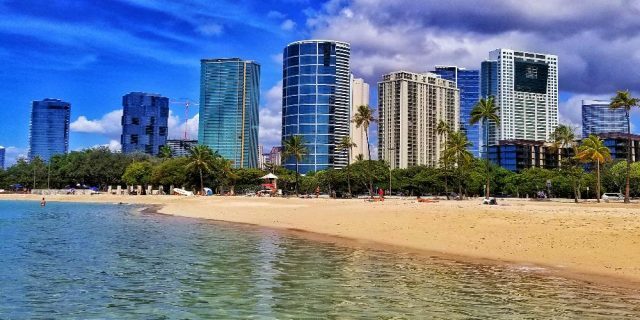 Some of the new Kakaako/Ala Moana condos we like include Park Lane, Waiea, Hokua, Nauru Tower, Anaha, One Ala Moana, Aeo, Koolani, Waihonua, Hawaiki Tower, and the more affordable Moana Pacific, and Keola Lai. See all available Kakaako condos for sale. Besides new and expensive Kakaako condos, Oahu offers a vast variety of regular residential condos. Some of these might be older buildings and tend to be more affordable for their size compared to the new Kakaako condos. If you are looking for condos in Honolulu, consider one of many excellent residential Waikiki condos in all price ranges and close to the beach. Some of our favorite Waikiki condos include The Watermark, Lanikea at Waikiki, and Allure Waikiki. See all available Waikiki condos for sale. 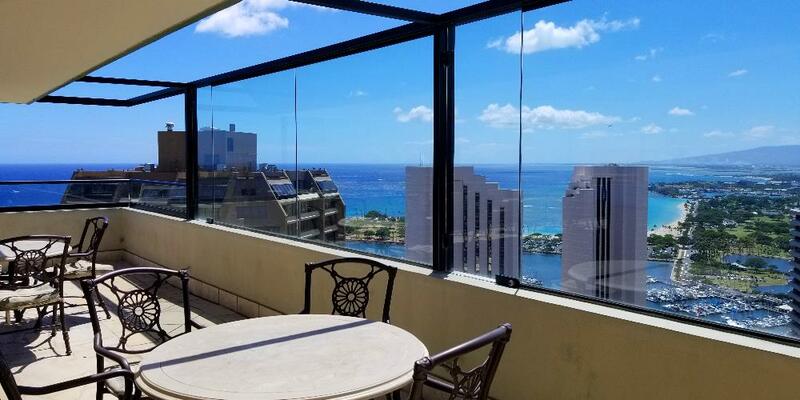 See all available Diamond Head condos for sale. See all available Makiki condos for sale. See all available Hawaii Kai condos for sale. See related article: Guide to Hawaii Kai marina front condos. We barely scratched the surface. Buying real estate in Hawaii can seem overwhelming unless you know what you want and understand your options. Do you require a large yard? –> Consider a house. Do the amenities and conveniences of condo living appear more practical? –> Consider a condo. Are you looking for maximum cash-flow potential with maximum rental flexibility? –> Consider a condotel. Will you be using your unit for your personal enjoyment more than just a few days per year? –> Consider a condotel with full kitchen. Do you desire a modern building with top amenities in Honolulu’s new up-and-coming neighborhood for your peaceful and quiet enjoyment, without the need to rent it? –> Consider a new Kakaako condo. Would you consider an older building that represents excellent value for its size and location? –> Consider a condo outside of Kakaako. We are here to help and committed to your success. Contact us today, ..before you arrive in Hawaii. We promise you will quickly become an expert on the Hawaii real estate market. Let us know your thoughts. We love to hear from you. Reciprocate Aloha: ‘Share’, ‘Like’ and ‘Comment’ below.